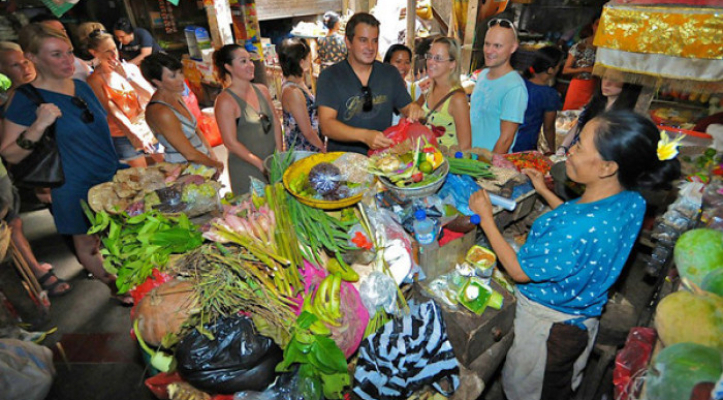 Begin your experience at a local market, where your Family Host will purchase and explain the fresh herbs, spices, fruits and vegetables used in your class. Learning about our Balinese lifestyle our families, home shrines, and our culture, as the staff double checks and makes sure the Cooking Pavilion is ready for your class. You'll be given an illustrated instructional gift booklet with menu, recipes, directions, photos, tips, and plenty of space for personal notes, and your delicious learning experience is set to begin. 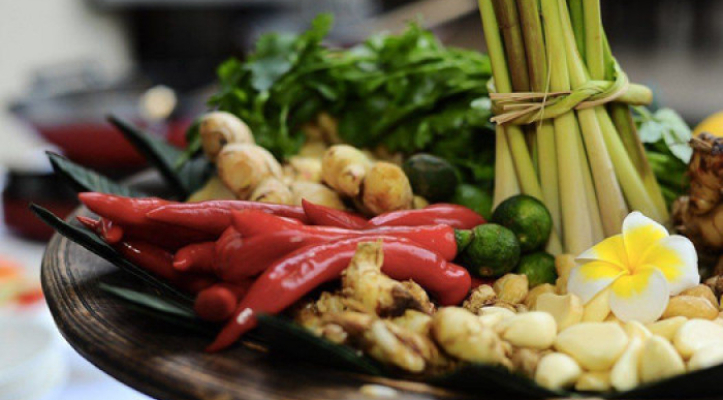 You'll learn how to prepare a complete menu inclusive of appetizer, a variety of traditional mouth-watering entrees, accompanying dishes, and dessert. And rest assured you will easily be able to duplicate your experience at home for your family and friends, while sharing photos and rekindling memories. 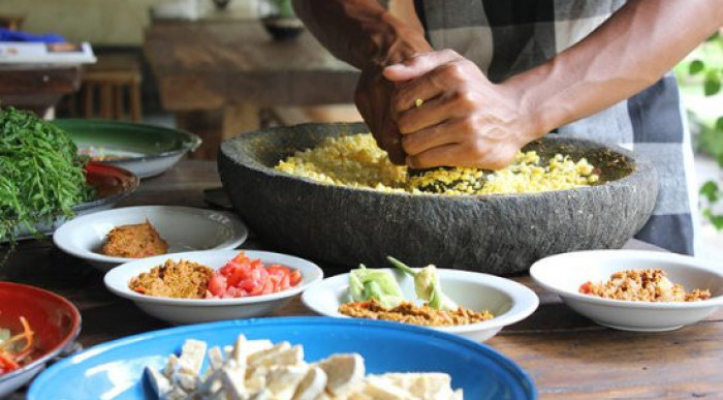 We'll even teach you how to make serving dishes and decorations out of banana leaves for a true Balinese gourmet meal learning experience. Finish your experience enjoying your freshly made dessert and leave our home a true Balinese Gourmet Cuisine Chef. 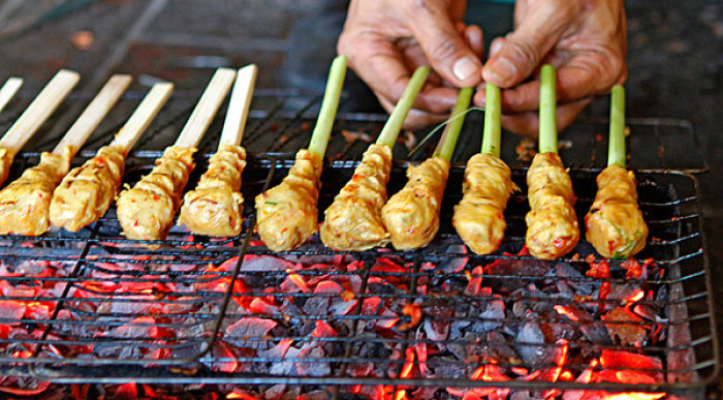 Our staff is fluent in English, all with professional background, and can easy answer any questions regarding a wealth of subjects ranging from techniques and ingredients to our Balinese lifestyle, Deities, and culture.